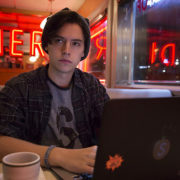 The CW has released new photos and a trailer to promote the first episode of the Riverdale TV series based on Archie Comics. The cast and executive producer of Riverdale signed autographs today at the Comic-Con International in San Diego. 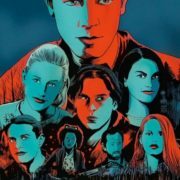 Riverdale Poster Art From Comic-Con! 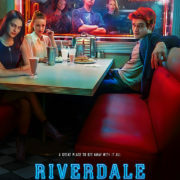 A poster for Archie Comics TV adaptation Riverdale has been revealed. The CW has released an official description for their Archie Comics adaptation Riverdale. 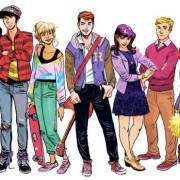 The CW has officially ordered the Archie Comics adaptation Riverdale as a series. Photo: The Cast Of Riverdale Assembled! Actress Mädchen Amick has tweeted a photo of the cast of The CW’s Riverdale pilot at a dinner. 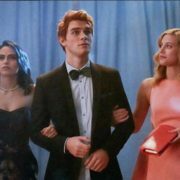 Riverdale star KJ Apa looks like he will indeed be having Archie Andrews’ famous red hair from the comics. 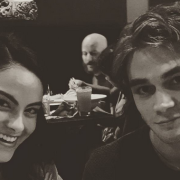 More Riverdale Casting: Archie’s… Not A Ginger?!?! 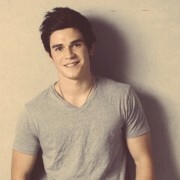 KJ Apa has landed the role of Archie Andrews in The CW’s Riverdale pilot.